Joe Wray was not at a special meeting of the Dillon Town Council Saturday, March 1, in which local officials approved a release agreement with the former town manager. Carri McDonnell, finance director for the town of Dillon, was appointed by Mayor Ron Holland to serve as acting town manager until Wray’s replacement can be found. McDonnell has been with the town of Dillon for 21 years. Although an interim manager is appointed by the mayor, the town council also had to approve a second resolution granting a temporary $3,000 a month raise for McDonnell. The town council approved unanimously both Wray’s separation agreement and McDonnell’s bump in salary. Prior to the vote, the town council met for 15 minutes in executive session with town attorney Mark Shapiro, who participated in the meeting from his home in Boulder by telephone. According to Dillon’s town charter, an acting manager must be a current employee of the town, McDonnell said. The salary agreement council approved Saturday is the same contract town council members approved in 2012 when McDonnell and Wray were co-interim town managers. 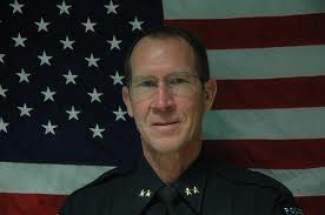 Wray, who was the chief of police at the time, ultimately was hired in April 2012 as the permanent town manager. He was one of 87 applicants and was hired at a salary of $107,000 per year, according to previous reports. Wray resigned Monday, Feb. 24. It is not yet known what motivated his decision to step down. His official last day on the job was Saturday. “We have been very fortunate to have Joe as part of our team for the past seven years, both as the town’s police chief, as well as his role as town manager,” Holland said in a statement. “We wish him all the best in his future endeavors and appreciate all that he has done in his time with the town. Realistically speaking, McDonnell said it would likely take at least four months before the town makes a decision about its next manager, if not longer. Wray’s decision to step down came less than a week after Dillon interim police chief Brian Brady submitted his resignation amid a 5th Judicial District Attorney’s Office investigation into perjury allegations. After the meeting, McDonnell said she would be appointing Sgt. Tina White to serve as interim police chief. Interviews for a permanent police chief are slated to take place Monday. The town has invited four finalists to interview for the position, including Rachael Dunaway, a sergeant with the Summit County Sheriff’s Office; Mark Heminghous, a sergeant with the Frisco Police Department; John Mackey, a former Dillon police chief; and Luis Solar, a police chief in Crowley, Texas. The town is hoping to fill the position in the next four to six weeks, McDonnell said.